We test our students, students from other driving schools, and walk-ins. Many trucking companies send their trainees to us for testing. CDL College is approved by the state of Colorado to administer CDL Skills Tests. 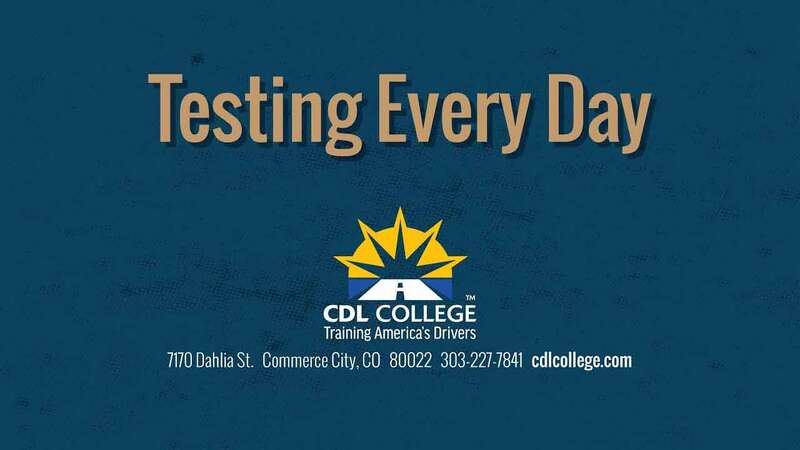 CDL College has one location: Commerce City, Colorado. The Skills Test consists of a Pre-Trip Inspection, 3 Backing Maneuvers, and a Road Test. If you need help with your pre-trip inspection, please download our free study guide at 2019 CDL Study Guide. If you need additional help with your Pre-Trip Inspection, Backing Maneuvers, or Road Skills, see our YouTube Channel. CDL College tests vehicles of all shapes and sizes. 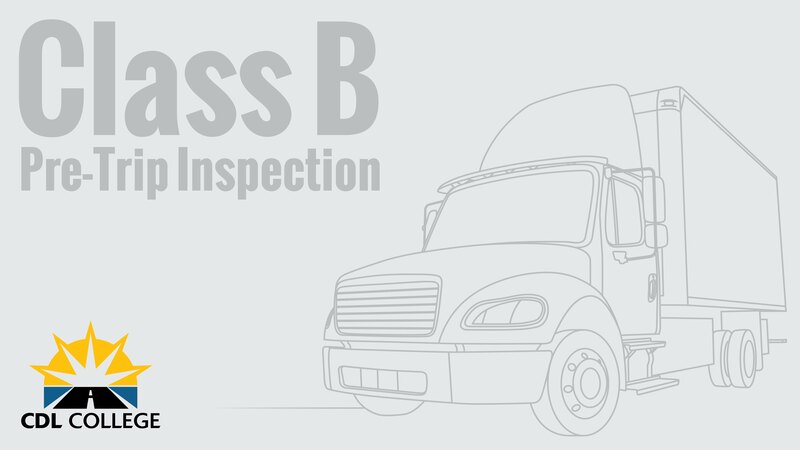 Don't neglect your Pre-Trip Inspection studies. Pre-Trip is one third of the skills test. We offer a live pre-trip inspection demonstration every Tuesday-Saturday at 9:15am. We also provide top-notch Backing Maneuver and Road Training. Here's some resources to help you study. Pre-Trip Inspection Self Test Video. Take our Free Online CDL Courses to brush up your driving skills. Take a driving 2-hour lesson with us. Practice your skills on your own. Instructor Atom demonstrates a full Class A CDL Pre-Trip inspection. Atom covers the Engine Compartment, the Side and Back of Truck, Coupling (Connections), the Trailer, an External Light Check, and the In-Cab Inspection with Brake Test. This is the video that made instructor Robert Row a YouTube sensation. 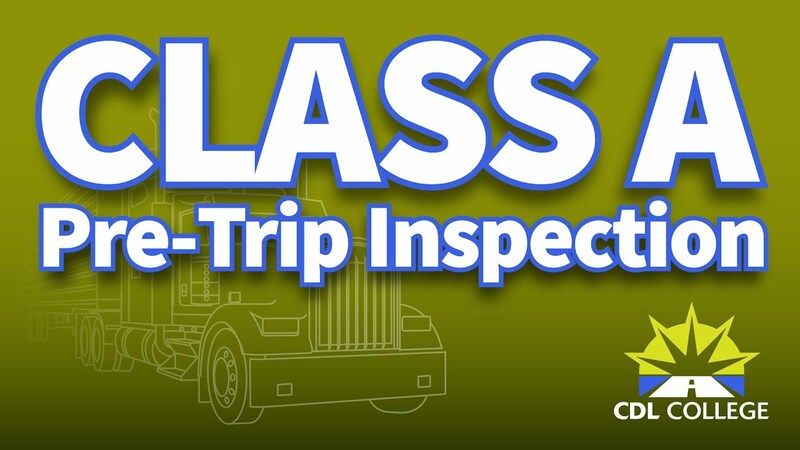 Watch him demonstrate a full class B pre-trip inspection. Robert covers the front approach, the side approach, the external light check, and the in-cab inspection with brake test. Still need to get your permit? You need to bring 3 documents to your CDL Skills Test: your Driver License, CDL Permit, and DOT Medical Card. You cannot be tested without them. We must schedule all CDL Skills Tests 3 days in advance. This includes retests and rescheduling. The State of Colorado gives us a 15-minute window to start the test. That includes filling out all of your paperwork and collecting your vehicle information. Make every effort to arrive for your test 15 minutes before your appointment. CDL College is approved by the state to administer the CDL Skills Tests. CDL College is not an extension of the Colorado Department of Revenue. We are a private business that charges a fee for our services. We are the largest 3rd party tester in Colorado. No other entity in the state tests more vehicles than CDL College. Gutsy. Tip: These videos are not supported by Internet Explorer. Try any other browser: Chrome, Firefox, iphone, Android, Commodore, anything other than IE.